Uncategorized – Dr. Wil Schweigert – New York Chiropractor Treating back pain, neck pain, sciatica using the latest techniques. Dr. Wil Schweigert - New York Chiropractor Treating back pain, neck pain, sciatica using the latest techniques. Chiropractic care during pregnancy: My story. If you haven’t visited a chiropractor before, you might be missing out. Millions of people around the world have experienced the incredible benefits of chiropractic care. One of the best things about chiropractic care is it’s a drug-free and surgery-free path to healing naturally. There are a lot of misconceptions about chiropractic practices and how chiropractors are trained. In fact, did you know many chiropractic programs also incorporate an entire year of PhD-level advanced nutrition training? 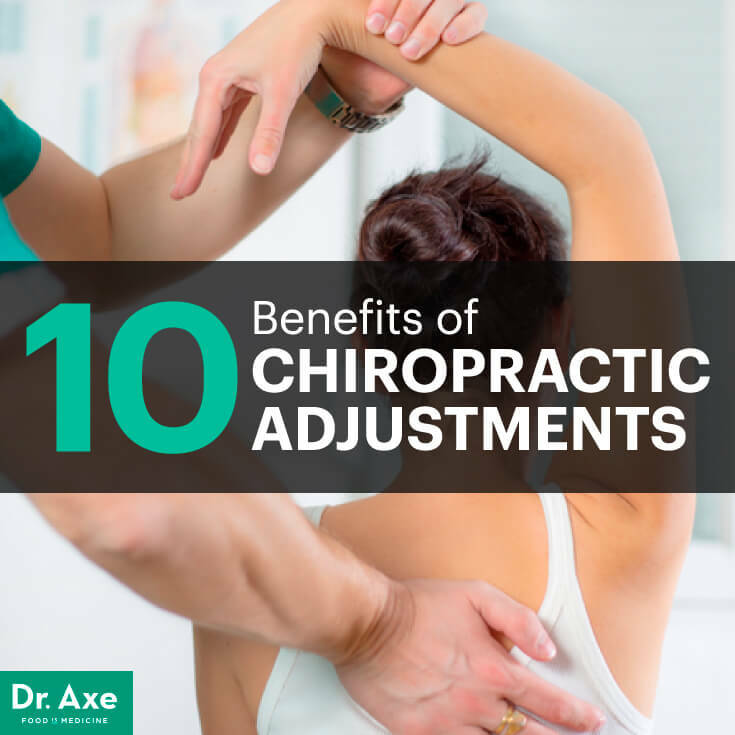 However, most of the benefits of seeing a chiropractor come from getting a chiropractic adjustment. Let’s talk about the philosophy, history and evidence-based research of chiropractic care. Chiropractors pride themselves on taking a natural, drugless approach to helping their patients reach their health goals. Essentially, the basic principle upon which the entire profession is built is that the body has the amazing, innate ability to heal itself (under the right conditions), and it is the chiropractor’s job to help create an environment to facilitate this. Because the nervous system controls every cell and organ in your body, chiropractors focus their attention on the health of your spine being properly aligned and, if there are shifts, helping the spine come back into alignment. The natural healing art of chiropractic was first developed by a magnetic healer named D.D. Palmer in 1895. According to history, it all started when Harvey Lillard — a man who was deaf in one ear — went in to see Palmer for his condition hoping that he had something up his sleeve to cure the deafness. Palmer coined his manual therapy technique chiropractic, which comes from the two Greek words cheiros and praktikos (meaning “with hands”). Since then, countless millions of people across the globe have benefited from this manual therapy that some sources date back to Hippocrates! At the core of the numerous chiropractic miracle stories is a concept known as “vertebral subluxation.” When chiropractors use this phrase, they refer to mechanical compression and irritation to spinal joints and nerves. In Harvey Lillard’s case, the nerves affecting his sense of hearing were compromised, and once D.D. Palmer freed his body of this “neurological insult,” his hearing was restored. When you consider how most cells and organs in your body are controlled by nerves traveling through your spinal canal, it’s mind-blowing to consider how vast the side effects can be! A vertebra going out of place (“misalignment”) because of a slip or fall (i.e., “macrotrauma”). The entire spine misaligning globally due to poor posture. Joint swelling caused by damage done to the intervertebral joint. An inflammatory response caused by a poor diet, lack of pure water or psychological stress. Osteoporosis or degenerative changes of the spine or intervertebral discs. Trigger points and tight back muscles that pull the vertebrae out of place. The problem that we see in Western cultures is that our unnatural habit of sitting down all day does a number on our spines — not to mention our posture! We’re glued to our cell phones, iPads and laptops! Far too many live their lives hunched over and with their necks stuck out like turtles. Doctors call this “forward head posture,” and studies prove that for every inch your head sticks out from a true center of gravity, your neck bears an extra 10 pounds of stress. Just think about how common and dangerous this can be for your health! During posture evaluations, chiropractors regularly observe many of their patients carrying their head two to three inches forward, which is an extra 20-30 pounds of pressure on their neck! Finding a good chiropractor isn’t only key to correcting the damage caused by years of poor posture or trauma — it’s also important for everyone wanting to take a proactive approach to his or her health care. I don’t know of any other profession on the planet that can prevent neuromuscular-based disease like chiropractic can. That is why I’ve been personally getting adjusted for over 10 years and recommend my patients, friends and family members to do the same. But don’t just take my word for it. Here is some of the medical research and studies proving the therapeutic benefits of chiropractic. The European Spine Journal published the findings from a clinical trial last year uncovering how chiropractic adjustments resulted in a 72 percent success rate in treating sciatica and related symptoms compared to the 20 percent success from physical therapy and 50 percent from corticosteroid injections. Compared to most medical treatments, few interventions can initiate back pain relief and healing like chiropractic adjustments can! In a study published in the British Medical Journal 2003, 183 patients with neck pain were randomly allocated to manual therapy (spinal mobilization), physiotherapy (mainly exercise) or general practitioner care (counseling, education and drugs) in a 52-week study. The clinical outcome measures showed that chiropractic adjustments resulted in faster recovery than physiotherapy and general practitioner care. Moreover, total costs of the chiropractic-treated patients were about one-third of the costs of physiotherapy or general practitioner care. Another study published in the Journal of Manipulative and Physiological Therapeutics found patients with chronic low-back pain treated by chiropractors showed greater improvement and satisfaction at one month than patients treated by family physicians. Satisfaction scores were higher for chiropractic patients. In a study funded by NIH’s National Center for Complementary and Alternative Medicine to test the effectiveness of different approaches for treating neck pain, 272 participants were divided into three groups that received either spinal manipulative therapy from a doctor of chiropractic (DC), pain medication (over-the-counter pain relievers, narcotics and muscle relaxants) or exercise recommendations. After 12 weeks, about 57 percent of those who met with DCs and 48 percent who exercised reported at least a 75 percent reduction in pain, compared to 33 percent of the people in the medication group. After one year, approximately 53 percent of the drug-free groups continued to report at least a 75 percent reduction in pain, compared to just 38 percent pain reduction among those who took medication. Second only to back pain, headaches are one of the most common conditions regularly managed by chiropractors. At the time I conducted this research, over 230 peer-reviewed articles referenced chiropractic’s ability to help cure, prevent and ease the burden of headaches and migraines in people all across the globe! A group trial found that 22 percent of people who had chiropractic treatment saw the number of attacks drop by 90 percent. In that same study, 49 percent said they had a significant reduction in pain intensity. Compared to most medical treatments, few interventions can initiate headache relief like chiropractic adjustments can. A 2012 study published in Journal of Manipulative Physiological Therapeutics found that chiropractic adjustments greatly reduced colic symptoms. Although very few randomized control trials have been conducted describing the clinical effects of chiropractic care on children, literally scores of case studies have been documented that describe how children suffering from otitis media (ear infections), acid reflux and colic have experienced complete to near complete resolution after just a few visits. The reasons for this vary, but one common theme is that nerves controlling the gut and brain are intricately connected to each other and are quite sensitive to neurological insult caused by vertebral subluxations. Exciting research is currently being conducted via upright MRI showing how upper cervical adjustments affect various brain-based conditions. What we have seen so far is quite remarkable. Not only are MRI scans revealing that cerebral spinal fluid and blood flow are markedly increased after a chiropractic adjustment, researchers are observing that cerebellar invagination (when the cerebellum drops down below the skull line) is being reversed and brain plaquing (common in multiple sclerosis patients) is disappearing! Montel Williams, the famous TV host, was interviewed about his experience as a MS patient under chiropractic care. Check it out here to see how it changed his life! In 2007, George Bakris, the world expert on hypertension, published a study with a team of researchers in the Human Journal of Hypertension proving that one upper cervical chiropractic adjustment had the same effect as two blood pressure-lowering drugs. Even more fascinating, the effects of just one adjustment lasted more than six months! Compared to the placebo-treated patients, those who got the real procedure saw an average 14 mm Hg greater drop in systolic blood pressure (the top number in a blood pressure count) and an average 8 mm Hg greater drop in diastolic blood pressure (the bottom blood pressure number). Other studies have shown similar findings with hypotensive patients, and their low blood pressure was raised to normal levels after chiropractic care. This is exciting because it highlights the body’s ability to create a homeostatic balanced environment once vertebral subluxations are removed. Chiropractic has long been heralded by natural health care providers as a natural method to prevent back surgery. In fact, the Journal of the American Medical Association just recently published its low back pain guidelines and suggested that people suffering from back pain first try chiropractic before resorting to surgery. Last year a clinical trial was published describing how patients suffering from the debilitating condition frozen shoulder responded to chiropractic care. Of the 50 patients: 16 resolved completely; 25 showed 75 percent to 90 percent improvement; eight showed 50 percent to 75 percent improvement; and one showed 0 percent to 50 percent improvement. Chiropractic adjustments for scoliosis coupled with muscular rehabilitation techniques may help prevent the progression of scoliosis. Organizations like the nonprofit Clear Institute founded by Dr. Dennis Woggon have set out to empower health care professionals with an effective chiropractic system to treat people with scoliosis. They’ve perfected a model and discovered that it is possible to effectively treat the condition without the use of restrictive braces or dangerous surgeries. In many case studies, participants have seen a 10 percent to 30 percent decrease in their scoliosis curvatures. You can read about some of the cases here. If you or a family member suffer from scoliosis, I strongly recommend reaching out to a certified Clear Scoliosis Center to see if they can help you! There is a reason why athletes both today and in the past, like Michael Phelps, Jerry Rice and Joe Montana, are under regular chiropractic care. In fact, over 50 percent of NFL teams have a chiropractor on staff. Studies have even proved, objectively and subjectively, that chiropractic patients experience “overall increased bodily function,” which includes bowl regularity and mental clarity. Basically, because it helps place your body in the position where it can heal itself, chiropractic adjustments can free your immune system up to focus on keeping you healthy, which enhances your ability to think, move and perform.